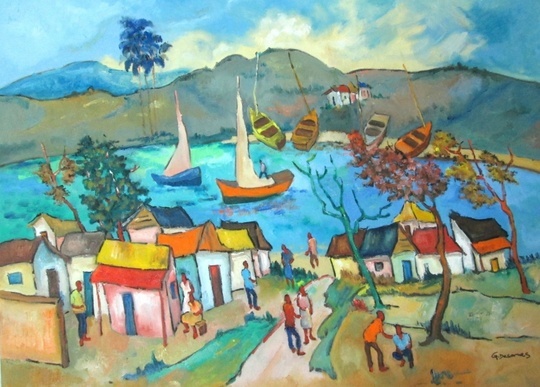 Yves Michaud was born in 1950 in Port-au-Prince. 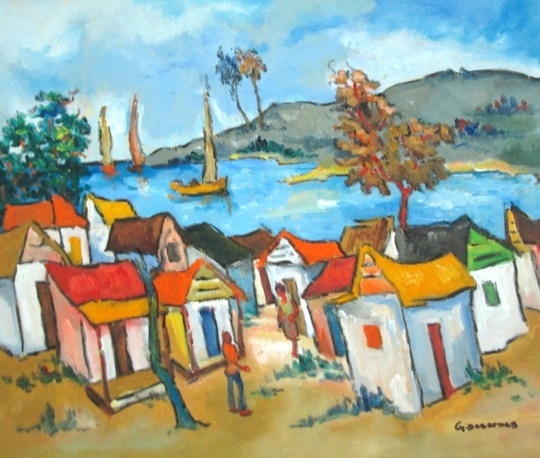 In 1969, he entered the Beaux Arts Academy and studied for a year. 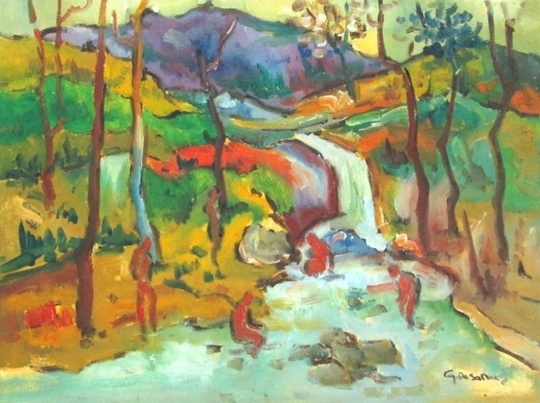 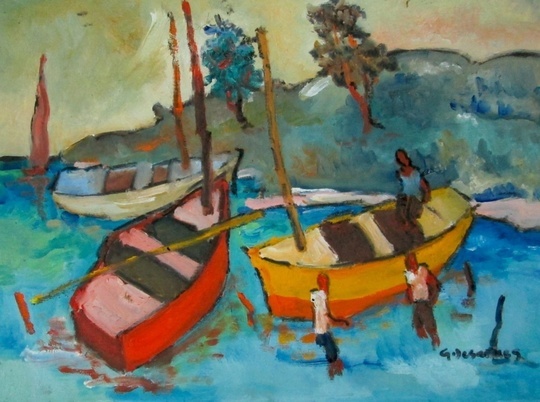 He then began to work with Nehemy Jean who encouraged him to pursue an artistic career. 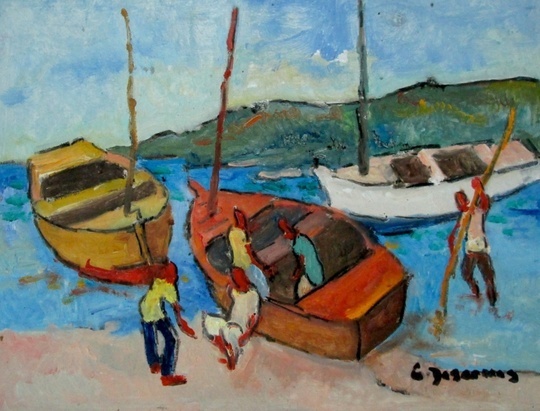 Michaud met Carlo Jean-Jacques at the Galerie Monnin, who taught him the technical aspects of composing a painting. 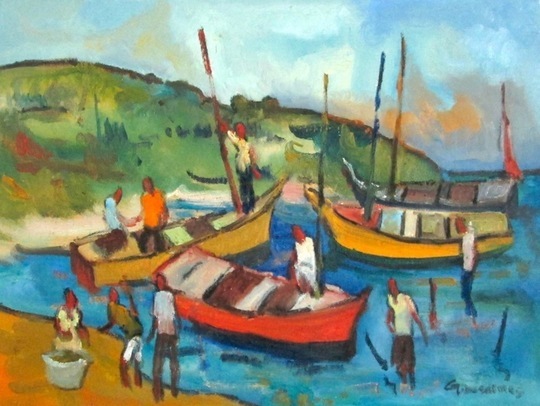 In his work, he touches upon all the genres of Haitian art. 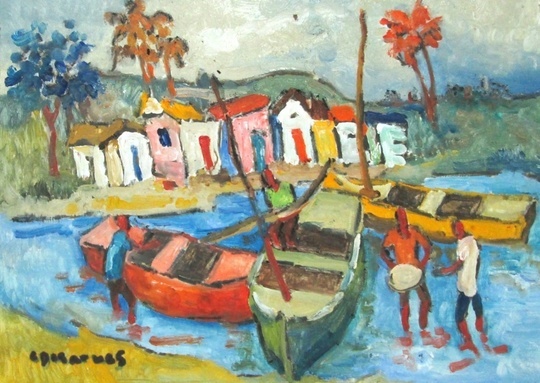 In 1971 Yves became a member of Les Nouvellists founded by Scordilis, but left them shortly afterwards to work on his own. 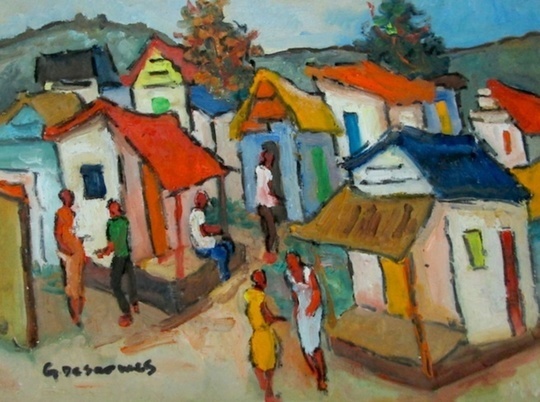 He then set up a studio in Leogane where he is inspired by rural Haitian life. 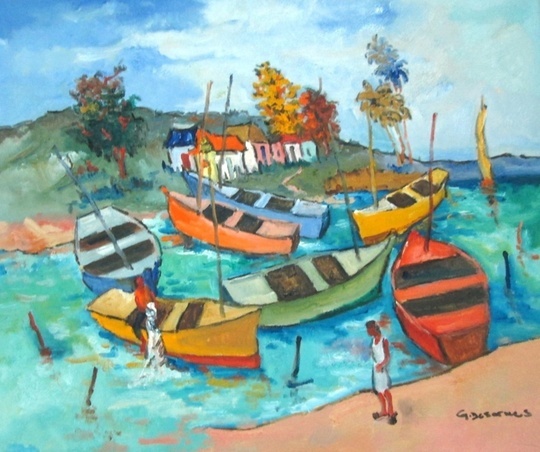 He has been working for the Galerie Monnin since 1989. 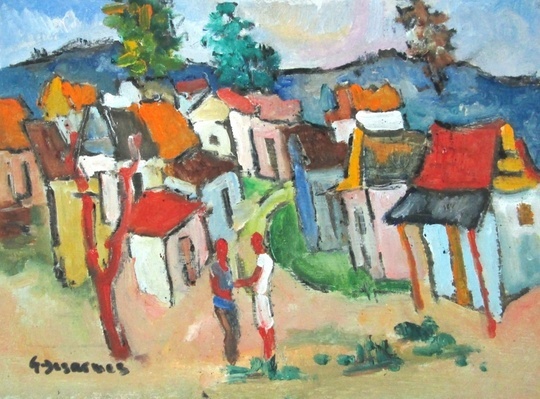 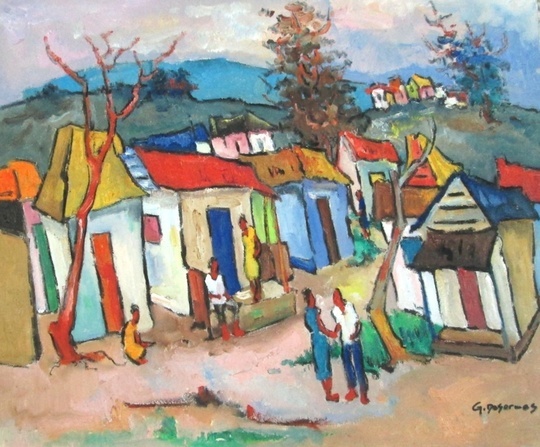 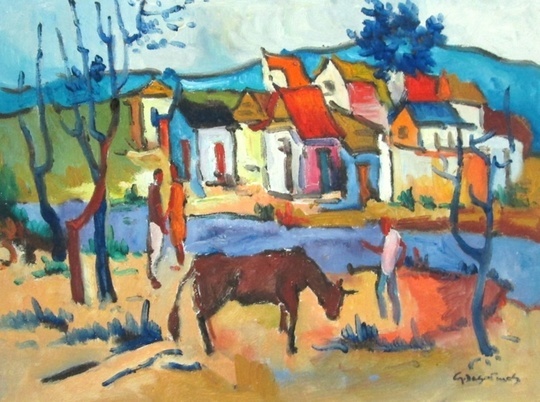 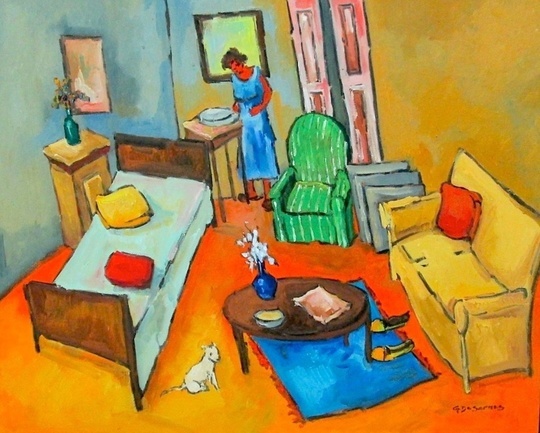 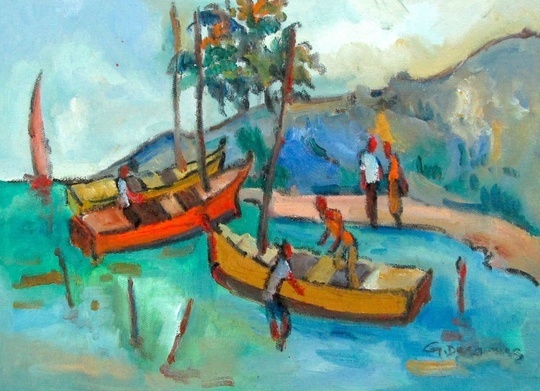 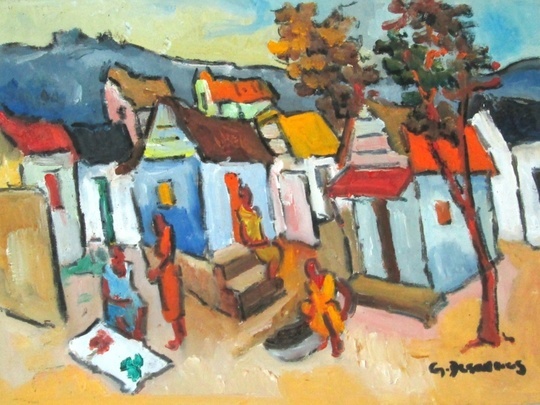 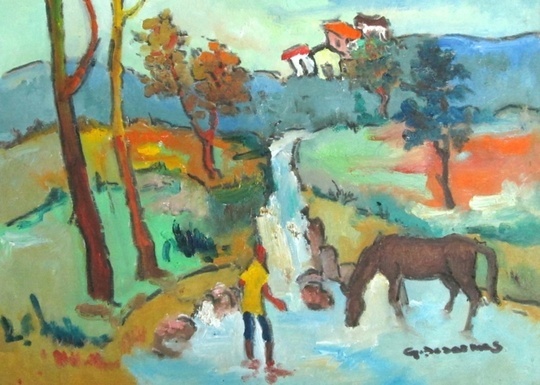 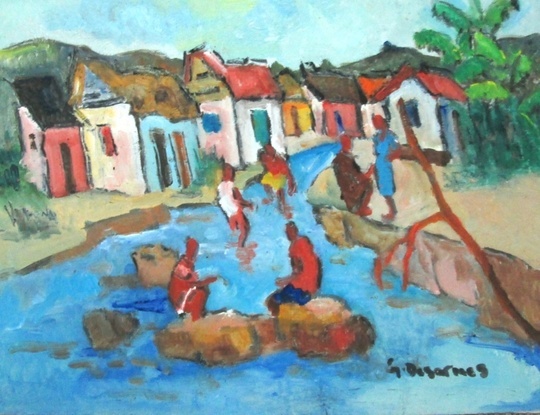 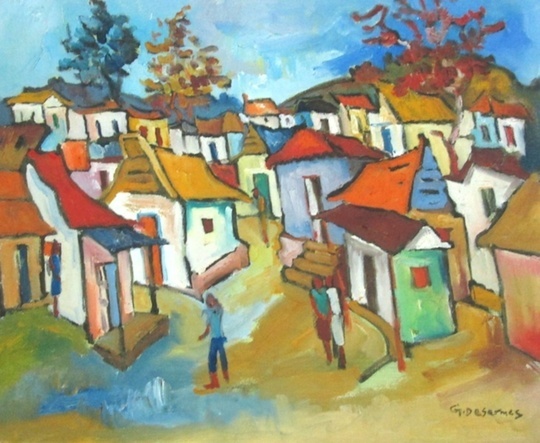 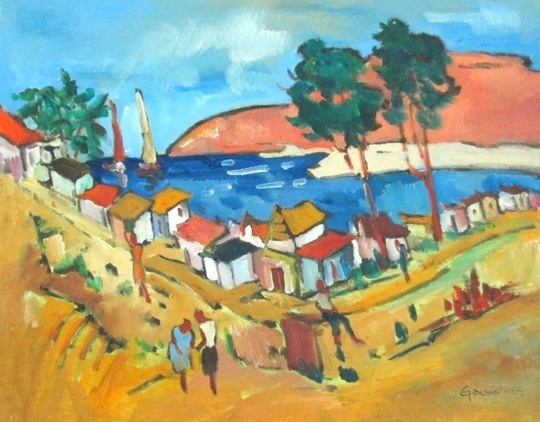 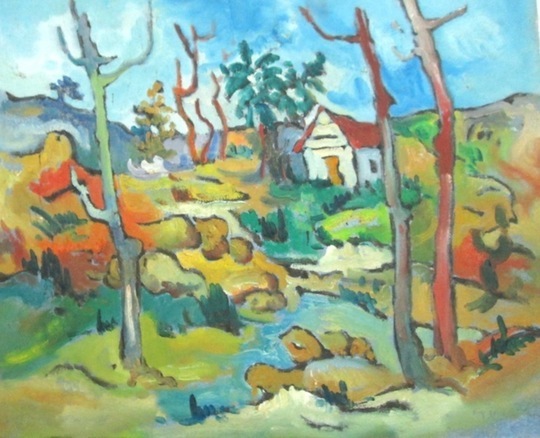 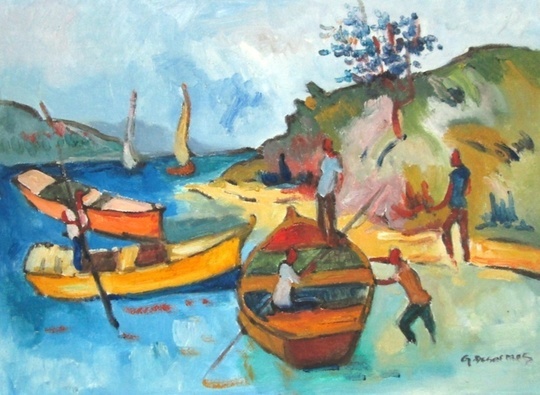 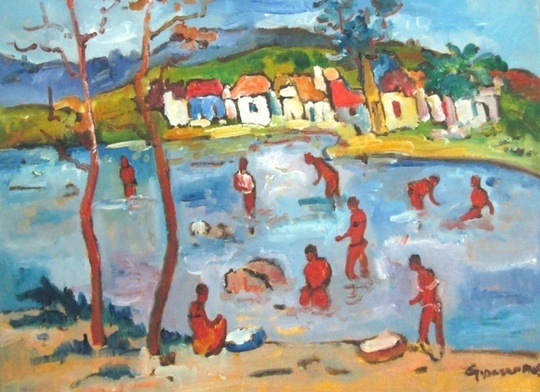 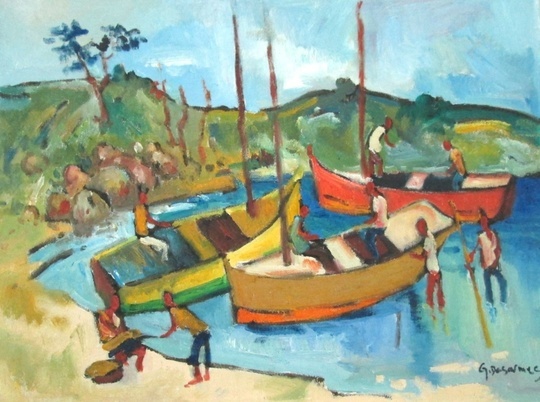 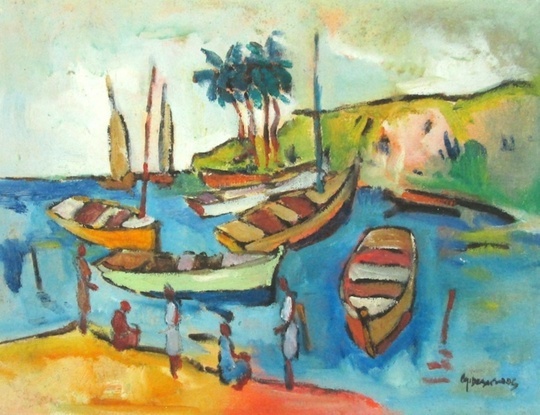 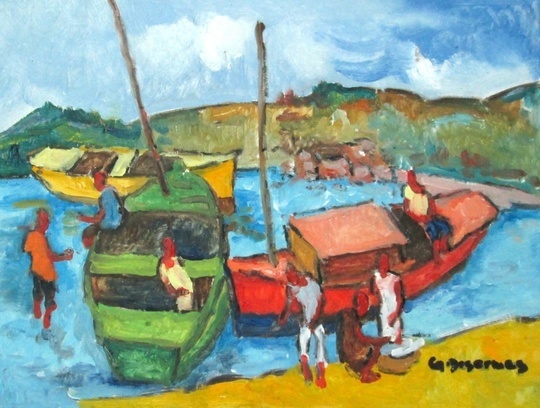 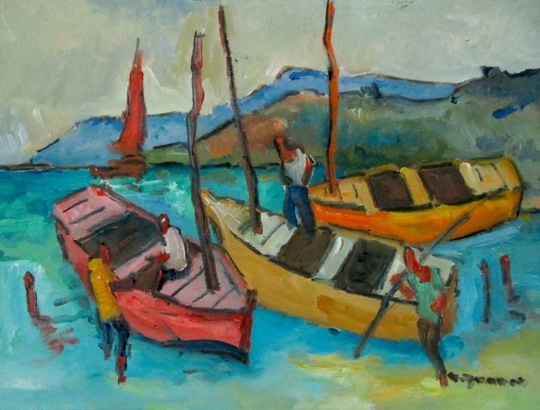 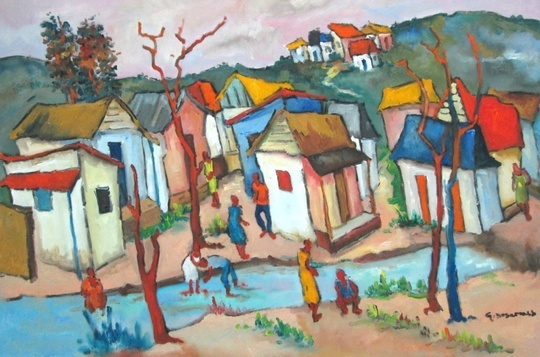 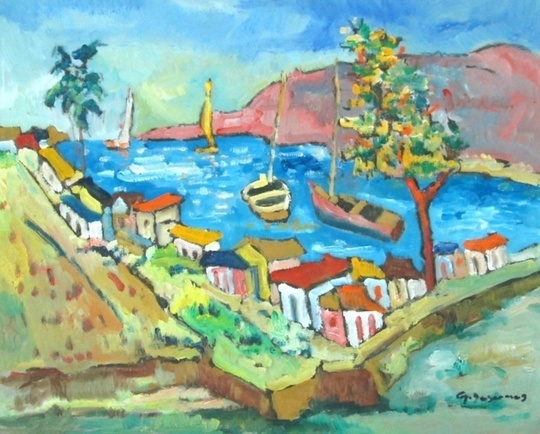 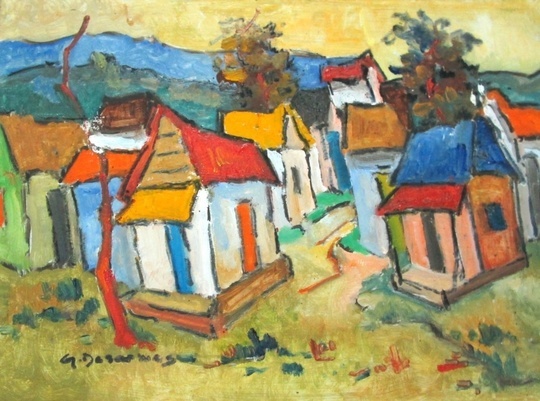 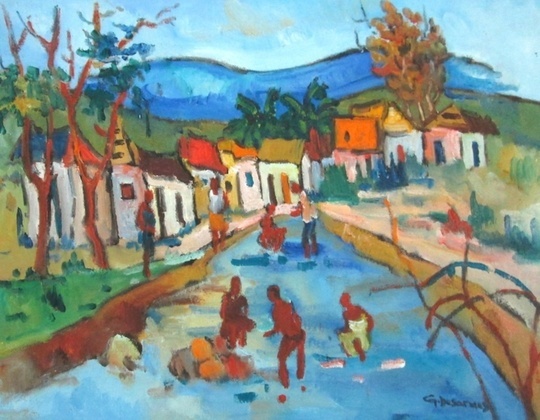 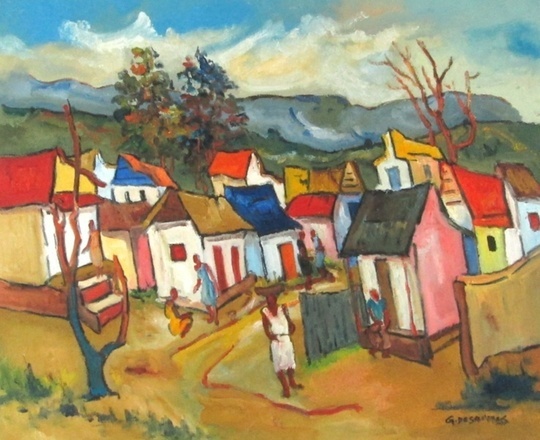 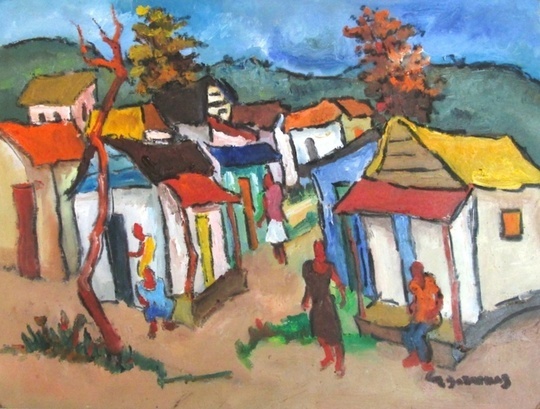 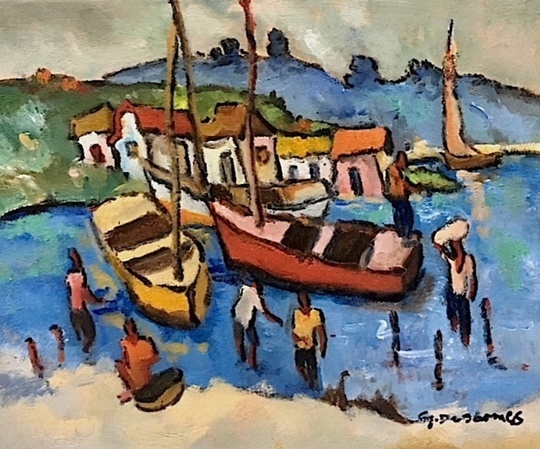 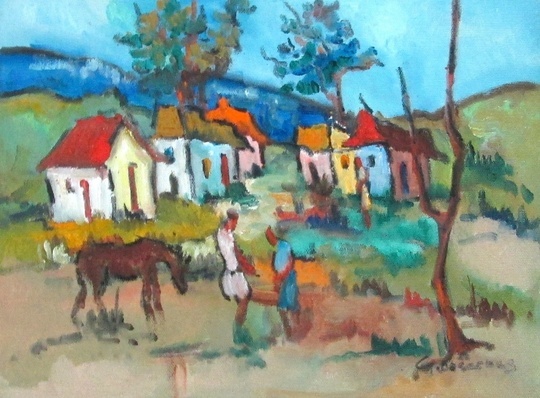 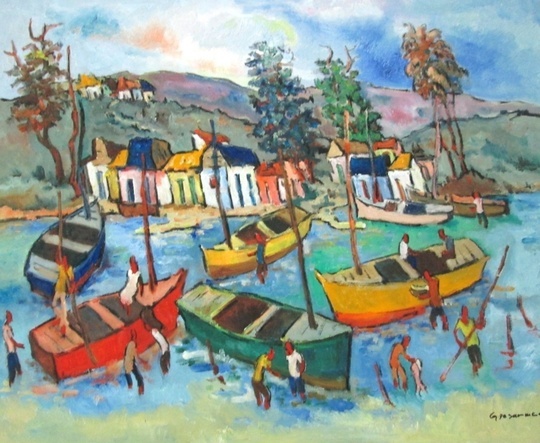 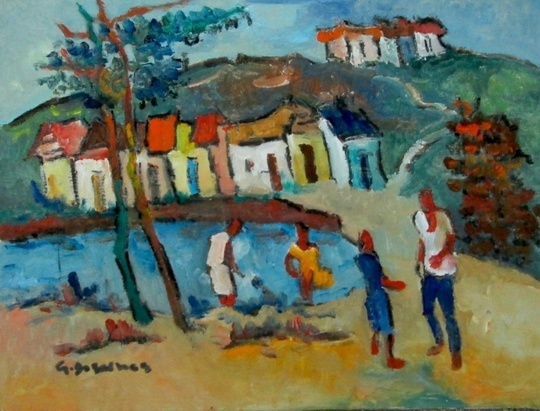 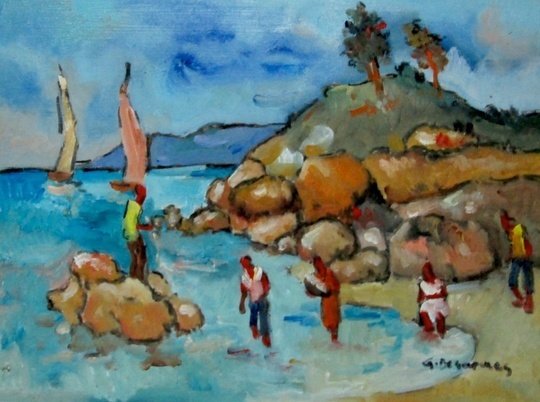 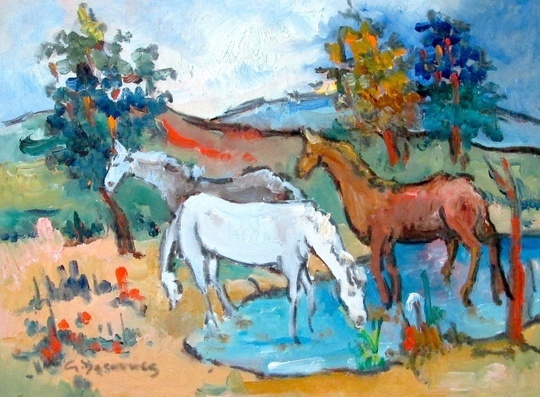 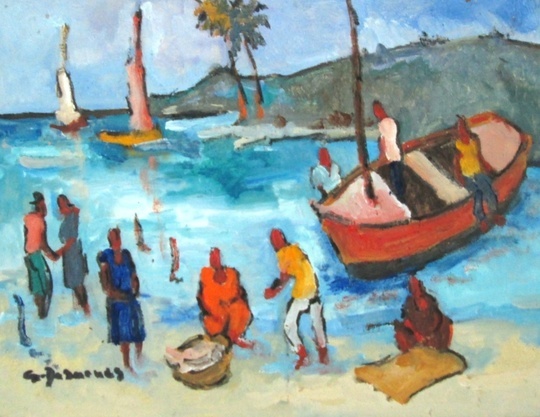 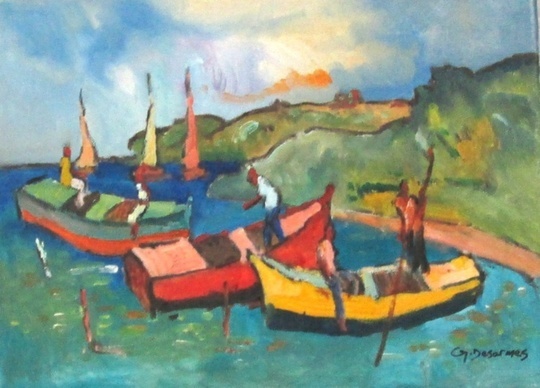 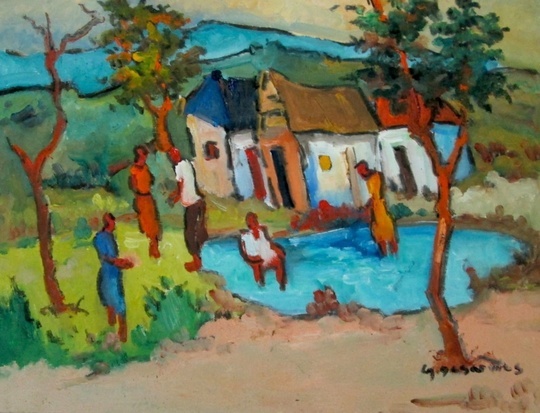 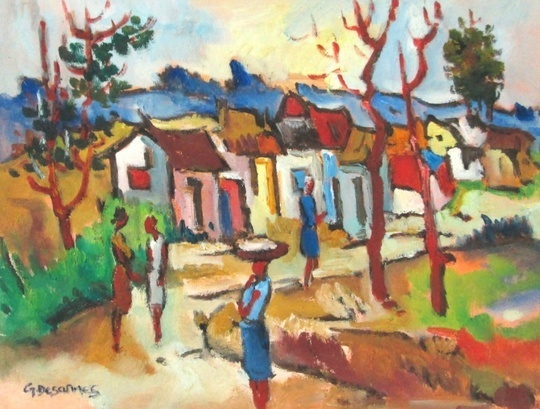 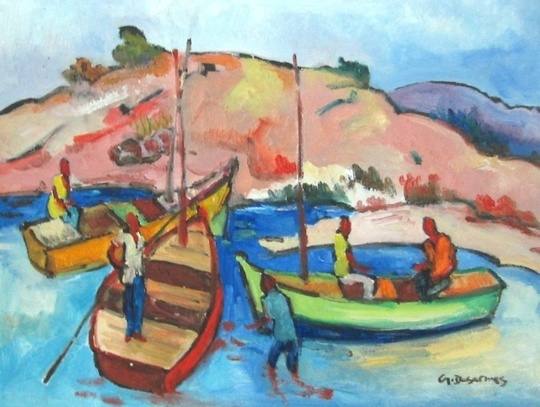 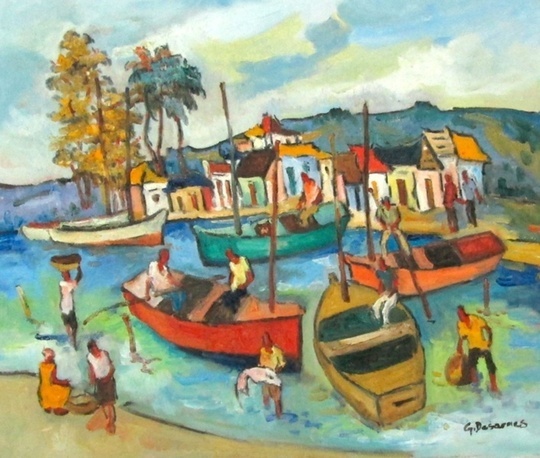 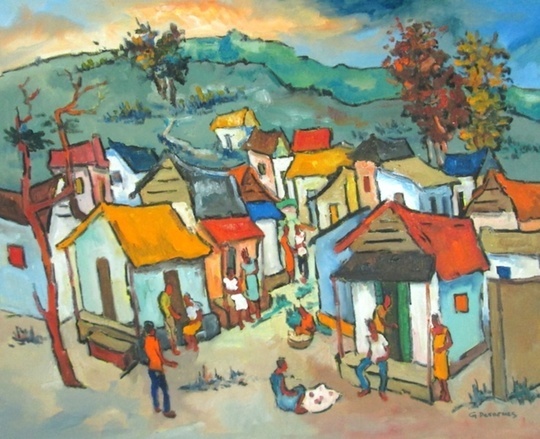 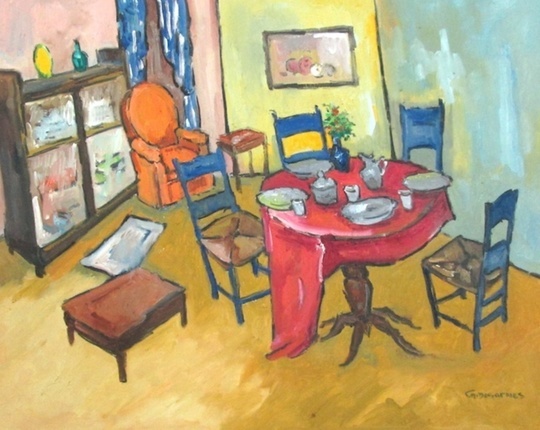 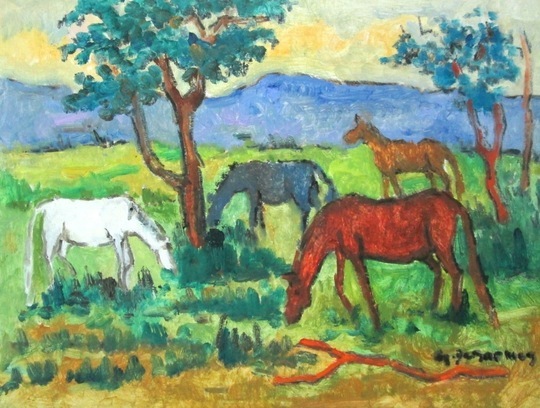 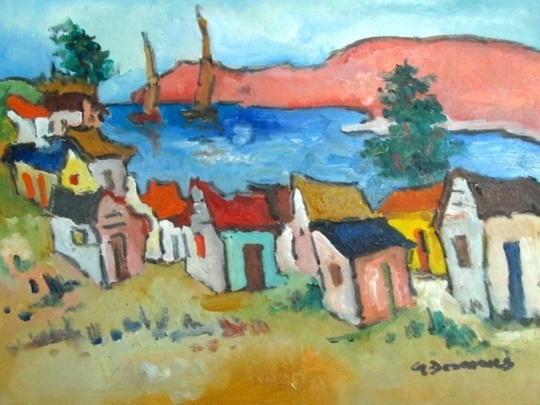 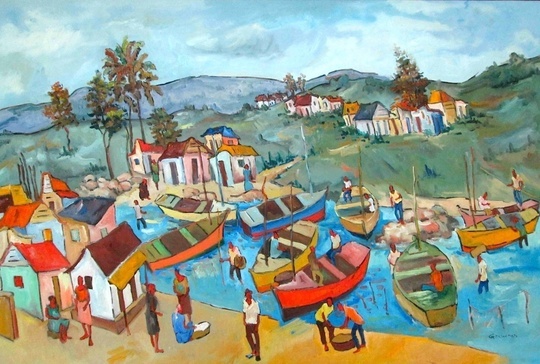 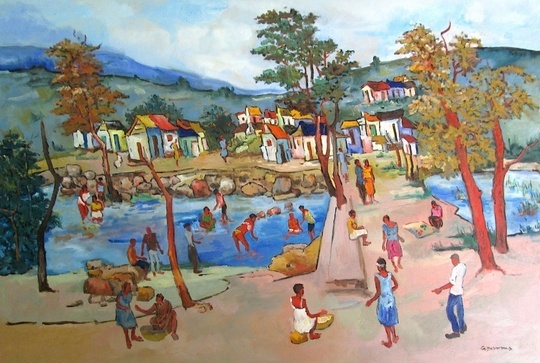 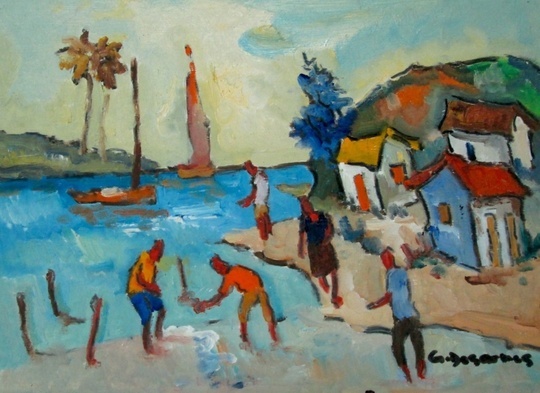 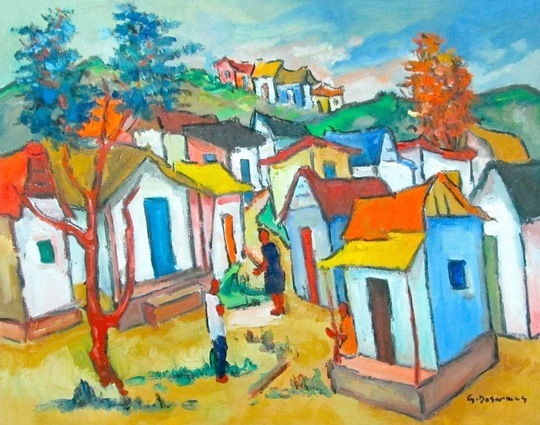 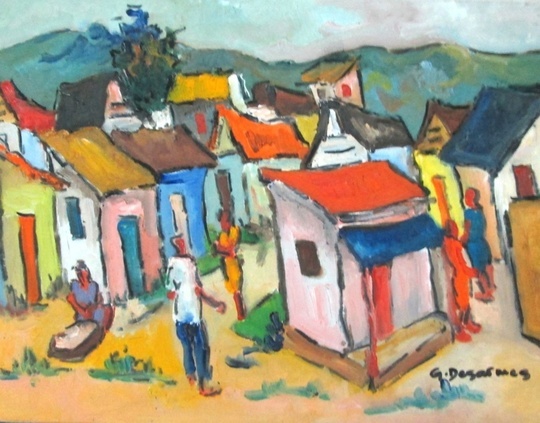 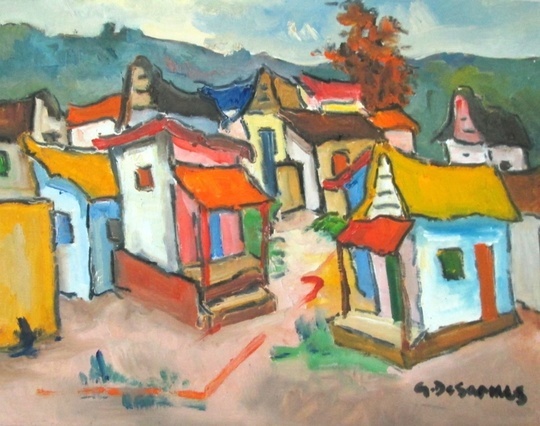 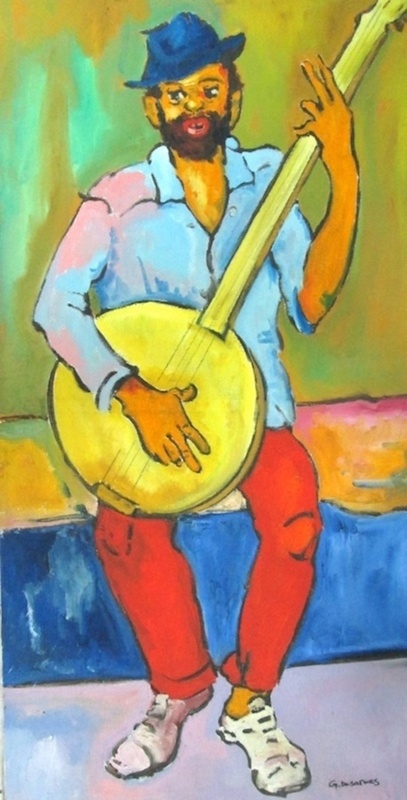 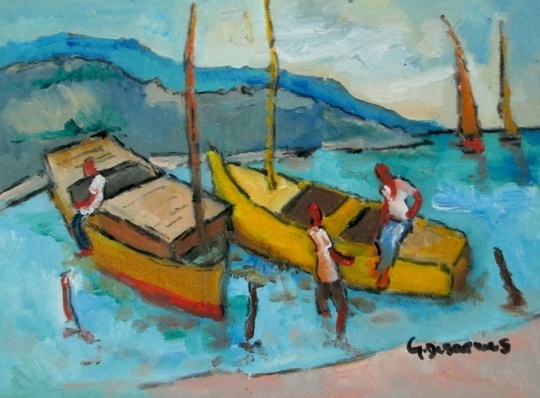 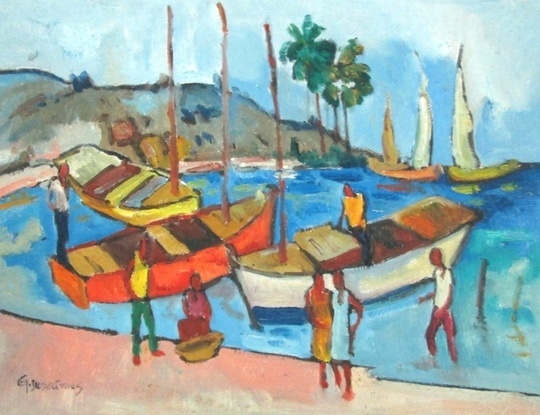 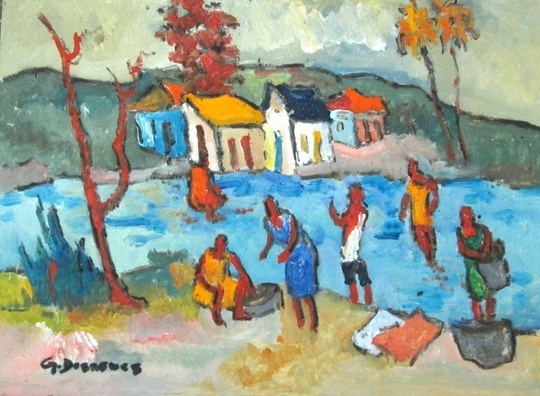 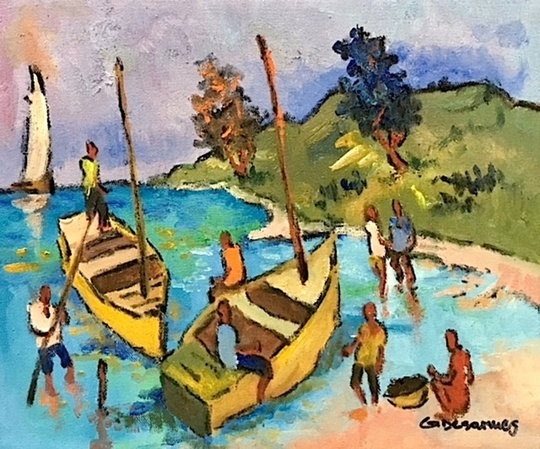 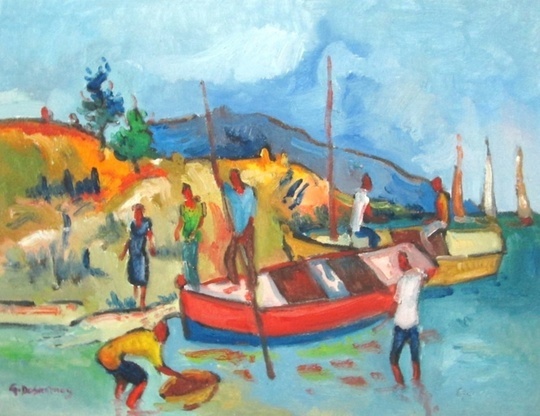 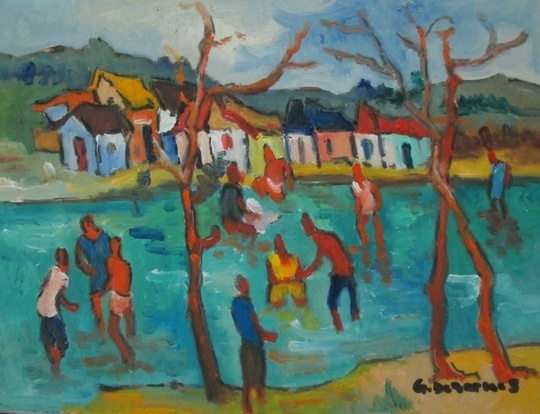 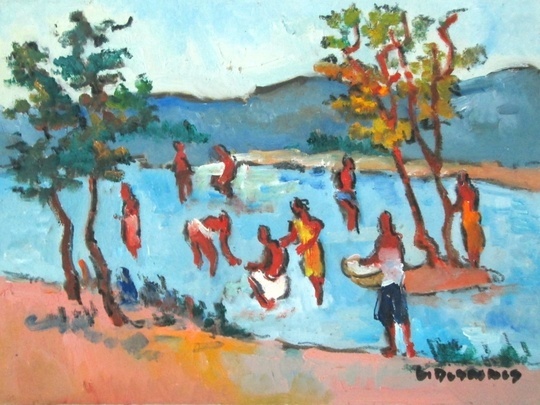 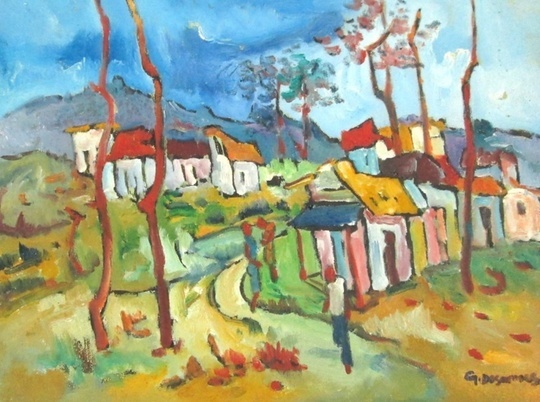 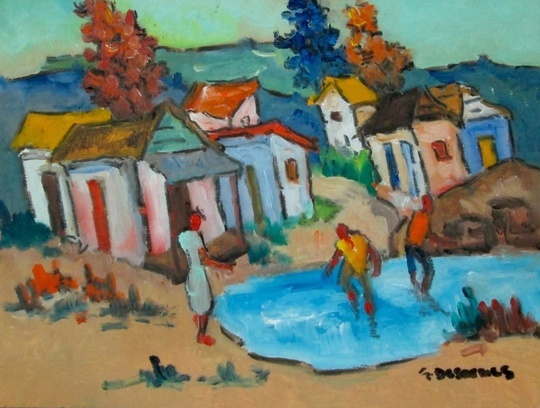 Since 1998, Michaud has started a new style that captures unique images of Haitian life in the palette of bright and rich hues with which it is naturally composed and signed them Georges Desarmes.